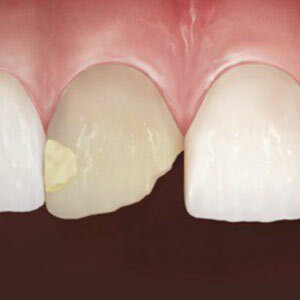 Dental decay is a common problem, especially among children and teenagers, but it can affect the teeth of adults too. Luckily, there are some things you can do to avoid getting cavities. Dr. David Campbell in White Lake, MI wants to share some tips with you about preventing cavities. If you have small children, you need to check and see if your family lives in an area where the water is fluoridated. Fluoride is the one of the best weapons against tooth decay. That’s because fluoride actually combines with the mineral matrix of your child's teeth to make your child's teeth stronger. If you don’t have fluoridated water where you live, ask your dentist in White Lake to write you a fluoride prescription for your child. Diet plays a vital role in cavity prevention. Acidic foods like fruit juices can wear away vital tooth enamel that protects your teeth from decay. Sugary foods like candies and sodas are bad for your teeth. The sugar combines with your normal oral bacteria to produce an acid that can eat away your tooth enamel. It’s best to avoid or limit sugary or acidic foods as much as possible. Your dentist wants you to remember: when you eat a sugary food or drink a sugary beverage, the longer it takes to finish it the worse it is for you. Don’t linger over your sugary treat; consume it as quickly as possible and save your teeth. Another important tip to prevent cavities from forming is to visit your dentist in White Lake regularly for an exam and x-rays. Cavities can start out small and you won’t see them. It is only with x-rays that your dentist can know if you have a cavity. When you visit your dentist regularly, you can catch a cavity when it is still small. Just remember, you can do a lot to prevent cavities from forming, but you don’t have to do it alone. Call Dr. Campbell in White Lake, MI today and get started on cavity prevention!